Do tell us what you think about it. Today in this post I will tell you how you can check download link of RapidShare, MegaUpload, MediaFire, HotFile and many more such sits. All of you must use RapidShare, MegaUpload, MediaFire, HotFile and many such sits to download and upload files. And sometime it happens that you got many files link to download and you are not sure that all the file links are working or not, so how do you check by visiting each page one by one while downloading? But now you can check all links in one click whether it’s working or not by using WebGeekTools. Just go to WGTools.com/link-checker and type (or copy-pate) all your download links and then click on Check Links button. If your all the download links are in one webpage just copy that webpage URL and past it in the Check links from URL: box it will automatically detect all the links and tell you that which links are working and which are not. And if you are an uploader and you want your users to check your all links in one click, you can use WGTools.com/link-checker/?url=YOU-PAGE-URL and change YOU-PAGE-URL with your URL. Today in this post I will tell you how you can host files using 110MB.com. 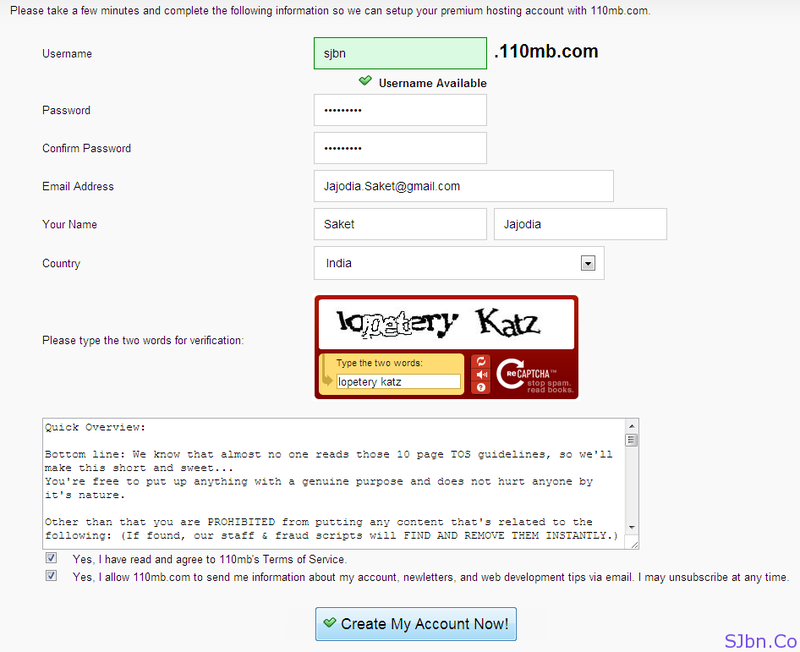 110MB allows you to host total 110MB of files, you will get 100GB bandwidth, you will able to edit any HTML, PHP and many other type of files online, and the main thing you will able manage your files easily. Fill the form according to you and click on Create My Account Now! If you want to ask anything or have any problems do let me know.